Roof repair in Seattle, WA can be one of the most urgent and demanding exterior home services homeowners can have a need for. The effects of roof damage can range from a decrease in your home’s energy efficiency or a persistent pest infestation to troublesome water damage and even roof collapse and serious structural and health risks. With so much at stake homeowners who notice the need for roof repair in Seattle, WA should immediately contact professional Seattle roofing contractors like those you’ll find here at FX Remodeling & Exteriors. Our experienced and highly trained roofing contractors in Seattle, WA have all the equipment and skill needed to ensure that your home’s roof repair services in Seattle, WA are performed smoothly, safely, and with results that will be dependable for years to come! Whether your home’s roof has minor shingle damage or severe roof damage from things like falling tree branches, the FX Remodeling & Exteriors roofing contractors in Seattle, WA will be able to assess your home’s condition and deliver the most efficient and effective solution possible while also providing you with advice on future roofing decisions which could decrease your risk of repeated roof damage such as having a roof replacement in Seattle, WA performed from a more vulnerable material such as asphalt shingles to a more resilient roofing material like metal. If your home could benefit from roof repairs in Seattle, WA, or if you have an immediate need for emergency roof repairs in Seattle, WA, then be sure to contact our expert roofing repair contractors to provide prompt, reliable repairs for your home’s particular roofing needs. Stay comfortable and (above all else) safe with the help of our local roofing repair specialists in Seattle, WA. 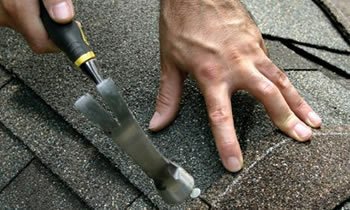 Don’t let your roof’s condition worsen. Contact our representatives today.